It’s birthday time in the U.S.! Happy Independence Day! Everyone stay safe, and be extra careful with the fireworks in dry areas. Now then, fishing… I spent yesterday having a day off with the Helvetican and catching fish. 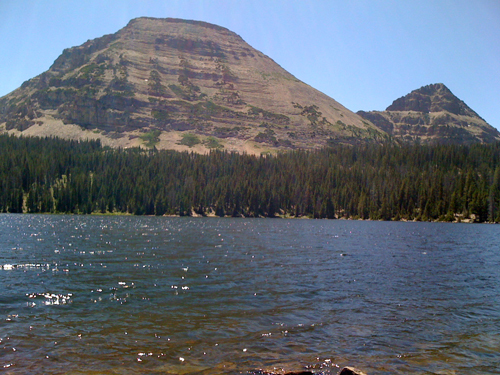 We drove up to Mirror Lake in the Uinta mountains, which sits at about 10,000 feet above sea level. Temperatures were perfect, with a great breeze. Such a relief after the high-90s in the valley. 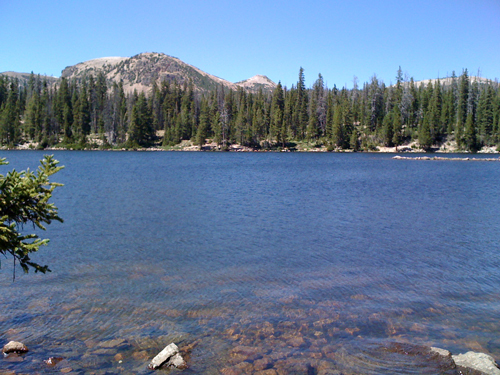 Another view of Mirror Lake, looking north. My primary fishing love is fly fishing, but given that we were fishing mid-afternoon, I went with spin casting instead. I only hooked four, though given that it was not prime fishing time, I was pretty happy with that. The water was so clear that with the polarized lenses on my sunglasses, I could watch the fish swimming around. I had a lot of fun watching fish get all territorial and chase my lures, even though they weren’t interested in biting. 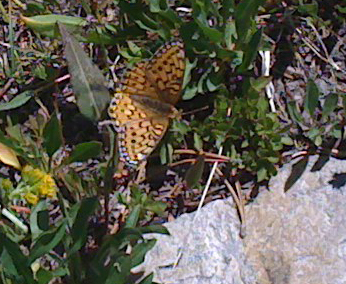 A pretty butterfly that landed near the shore where we were fishing. A good day all around, and hey, a bad day fishing is still better than a good day doing a lot of other things. I feel refreshed and ready to write!